[UPDATE] Nicola's Bookshop unfortunately closed its doors in January 2009. However, Nicola's Book Club has remained. For more info, visit the website below. Robin said: "This small, cheerful store, tucked behind Place Stéphanie, is focused on world literature. Each set of bookshelves is dedicated to a different continent or region of the world, so if you're looking for that new translation of a writer not often represented in the big bookstores, this is a good place to start. Thrown into the mix, especially in the "North America" and "Europe" sections, are some classics and "lighter" literature. Nicola also keeps a small stock of used books." Don't you just love these cozy little independent bookstores where you almost always feel like at your home? 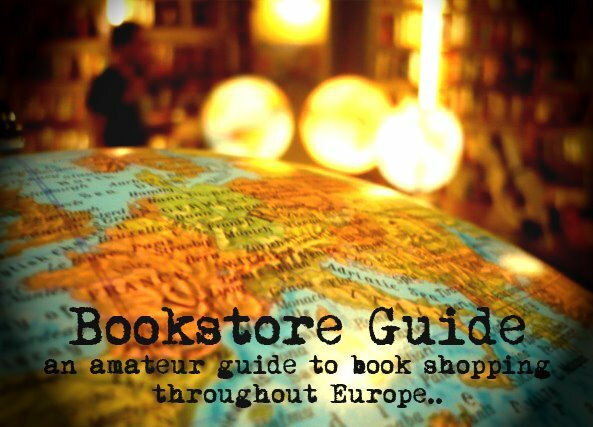 We have a feeling that Nicola's Bookshop in Brussels is just one of these types of bookstores. The owner, Nicola Lennon from Ireland, praised for being a perfect host/owner, does everything she can to make her customers feel special. The needs of the customers are one thing that's always met here and that is the main characteristic of a bookstore which is loved by its owner and its customers. The bookstore is accompanied by a small tea room, located in the backroom of the bookstore, where one can enjoy Irish and English goodies (which is usually, and no surprise here, tea). Furthermore, Nicola's Bookshop holds regular literary events, such as readings, book signings and poetry evenings. To get a better feel of the friendly atmosphere of this bookstore take a look at this short video, which can also serve as a proof of Nicola's impressive mastery of French language. Nicola's Bookshop, famous for its friendliness, is located just a few steps from the Place Stéphanie. It specializes in world literature - something quite different from many bookstores in our Guide - and what's more, all the books are in English. Another specialty of Nicola's Bookshop is the fact that the books are sorted by the continent of origin of their authors (Africa & the Caribbean, Asia & the Pacific, Europe & the Middle-East, North America, South America) and as Nicola states in the above-mentioned video, she tries to have at least one author from every single country of the world on her stock. Besides fiction (mostly novels, but also some poetry and drama), one can find various travel guides, books for children in the separate well-stocked kid's corner or even some audio books. It's important to note that Nicola's Bookshop also stocks a certain amount of secondhand books. Sadly the bookshop itself has now closed, but the Nicola is still active and now runs a bookgroup online at the same web address.